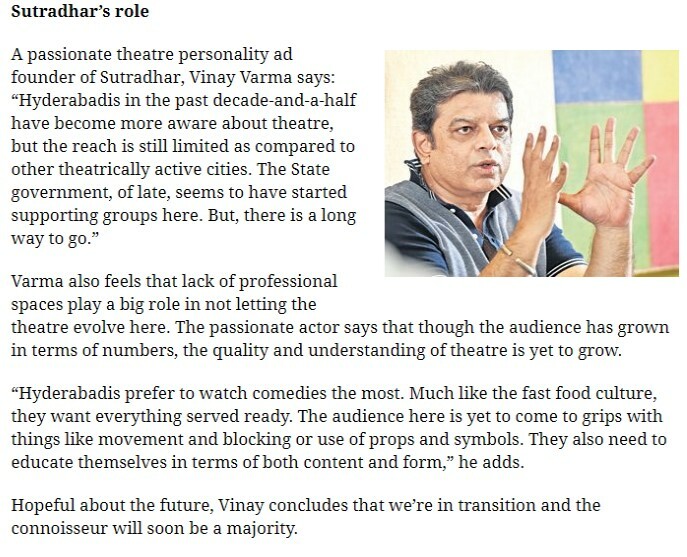 Vinay Varma, founder of Sutradhar started out as an amateur theatre practitioner and is now a theatre personality of International repute. 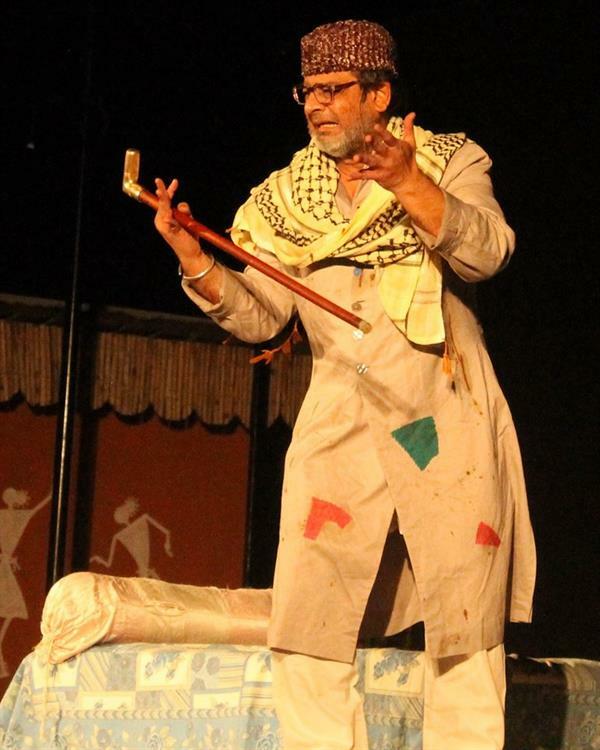 He has been passionately involved with theatre for more than thirty years. He's also been a part of more than 15 feature films in Hindi, Telugu, Tamil, and a Hollywood film. 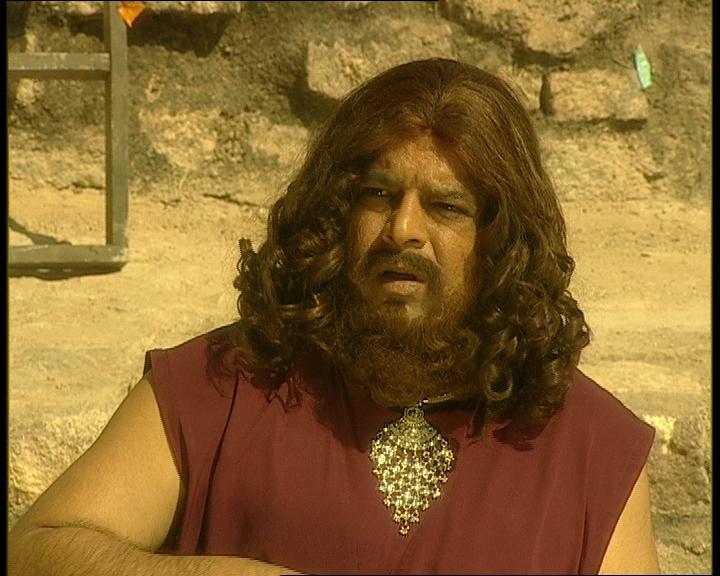 Vinay is well-known for many of his stage and screen characters. 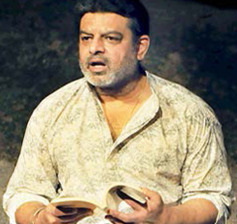 He has directed over 30 plays and acted in more than 50 plays with over 200 shows across India and abroad. 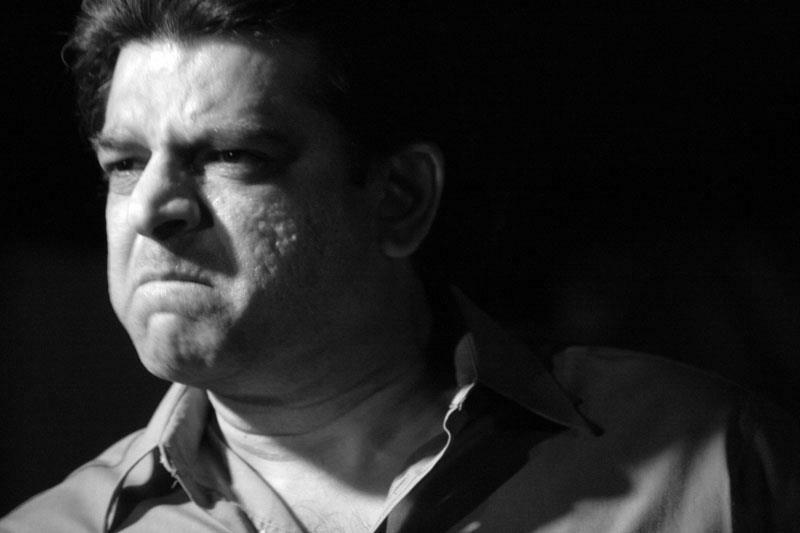 Some of his acclaimed performances are in Natasamrat, Raktbeej, Main Rahi Masoom, Siyaah Haashiye, Stronger Than Superman, Main Nathuram Godse, Death Watch, Kanjoos Makkhi Choose, David Mamet's Oleanna. 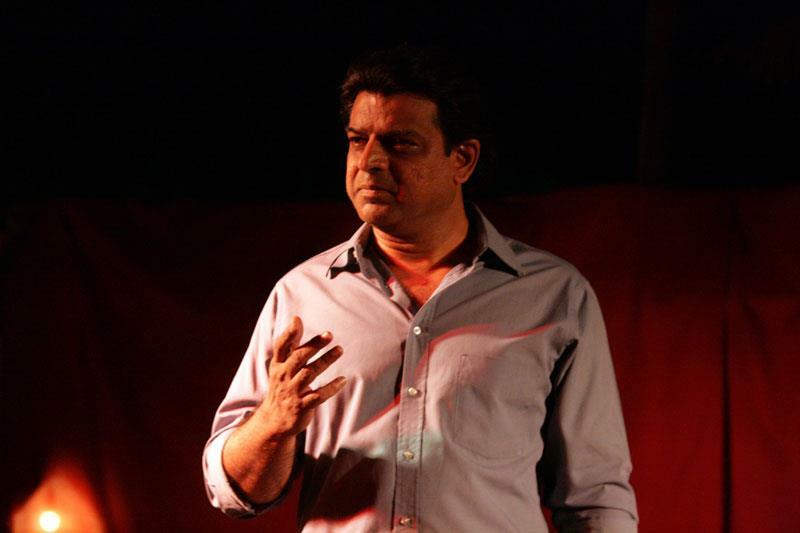 He is well-known for his play Main Rahi Masoom which is based on the life and times of writer DR. Rahi Masoom Raza. 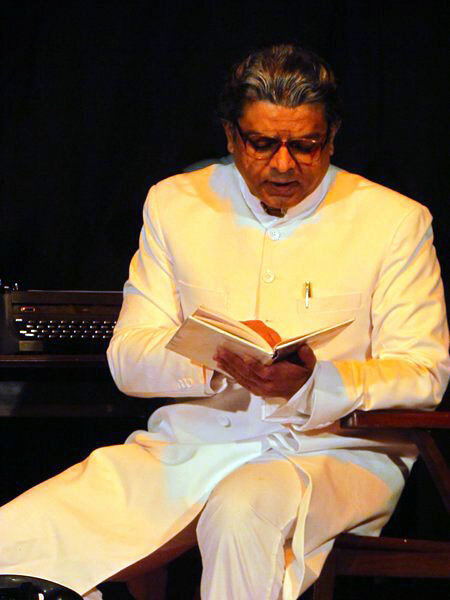 Besides Hyderabad, Main Rahi Masoom has been performed in Kala Ghoda Arts Festival – Mumbai, 3rd Minerva National Theatre Festival – Kolkata, Pratyay Theatre Festival – Kolhapur, 12th Bharath Rang Mahotsav – New Delhi, 22nd National Drama Festival – Allahabad, 8th World Theatre Olympics-Chandigarh, Film and Television Institute of India-Pune. 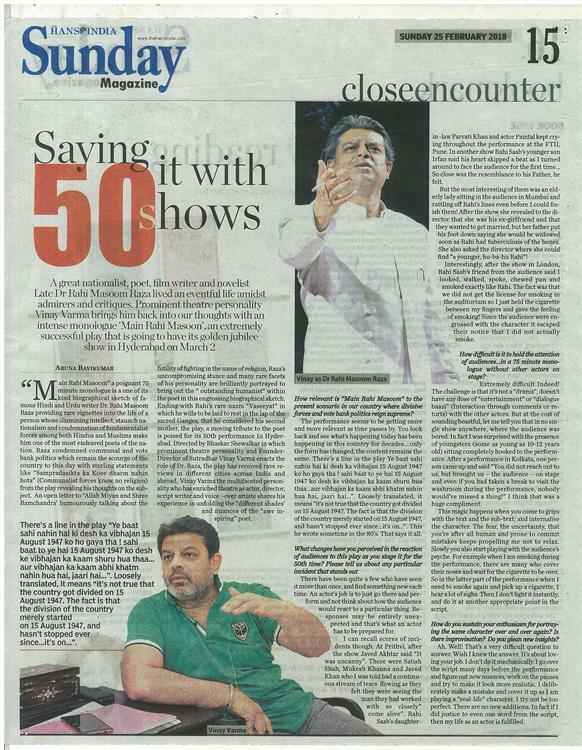 It was also performed in Chennai, Ahmedabad, Indore, Bengaluru etc. 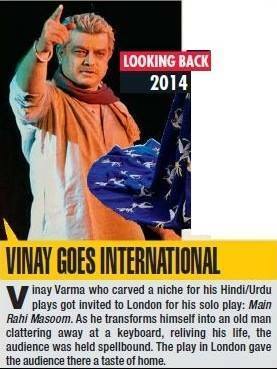 Vinay Varma was also invited by the Society of Friends International, London, to stage Main Rahi Masoom. 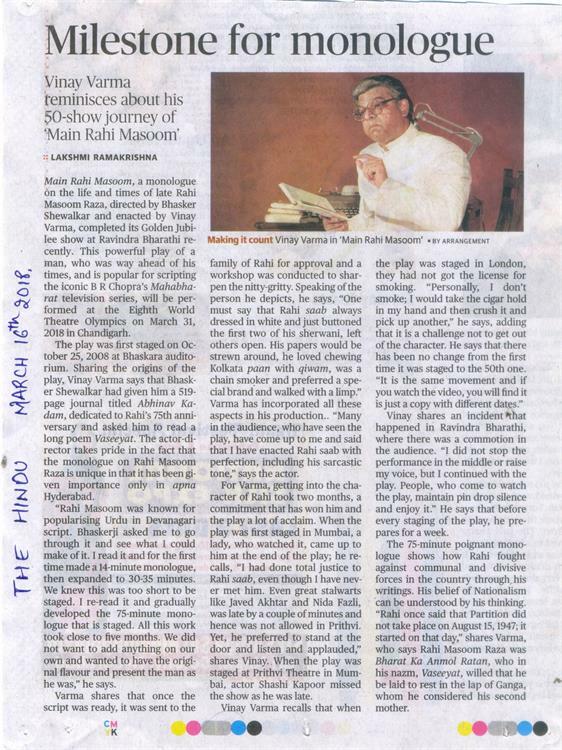 On 2nd March 2018, Main Rahi Masoom celebrated its 50th show, at Ravindra Bharathi, Hyderabad, India. 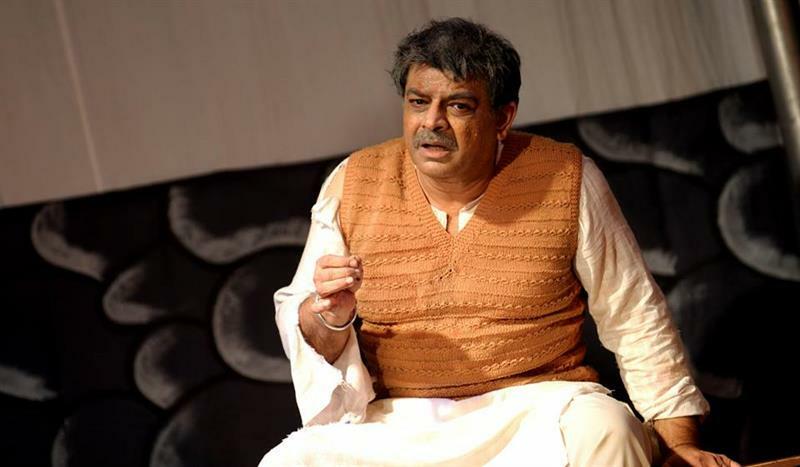 Played a supporting character in Siva Nageswara Rao's Telugu movie "Ninnu Kalisaka"
Played the role of Ali Fazal's father in the Hindi movie "Bobby Jasoos", directed by Samar Shaikh and produced by Dia Mirza. 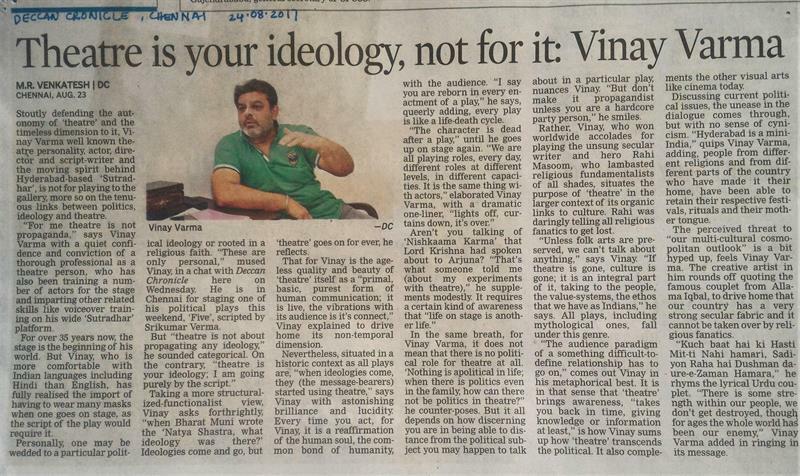 Featured as a right-wing fanatic in Janaki Vishwanathan’s socio-political satire Yeh Hai Bakrapur. 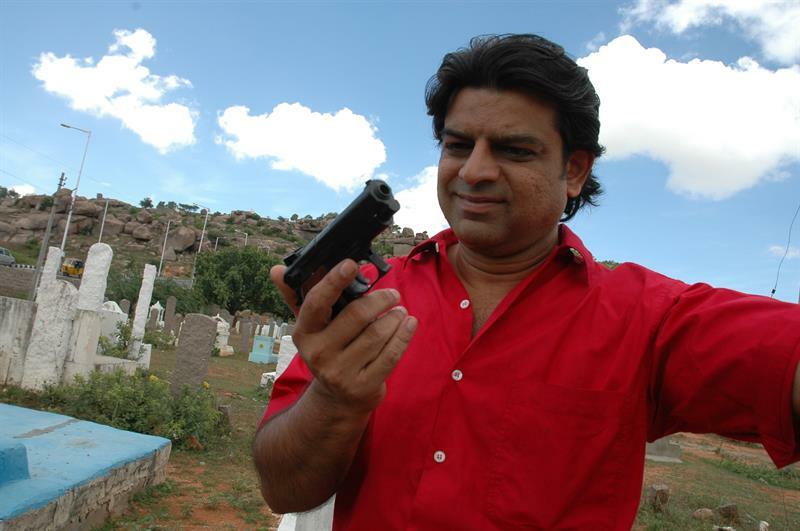 He portrayed the role of DCP Rathod in Satish Kasetty's Telugu movie "Terror". Played the role of a villain in Mohan Krishna Indraganti's Telugu movie "Gentleman". Acted as a greedy, lecherous cop in Sekhar Kammula’s Anaamika, opposite Nayanthara. Played a corrupt, cynical cop in Anish Kuruvilla’s Telugu crime thriller Ko Ante Koti featuring Sharwanand, Srihari etc. Played a pivotal role alongside the popular Telugu actor Dr. Rajendra Prasad in the psychological thriller in Telugu titled Dream. Played an important role of a Dubai lawyer in the Telugu film Nippu directed by Gunasekhar. 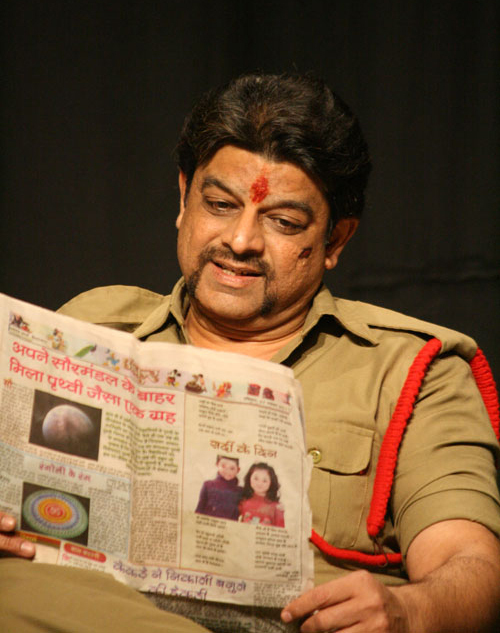 Acted as the corrupt Police Commissioner in the Hindi film Knockout. 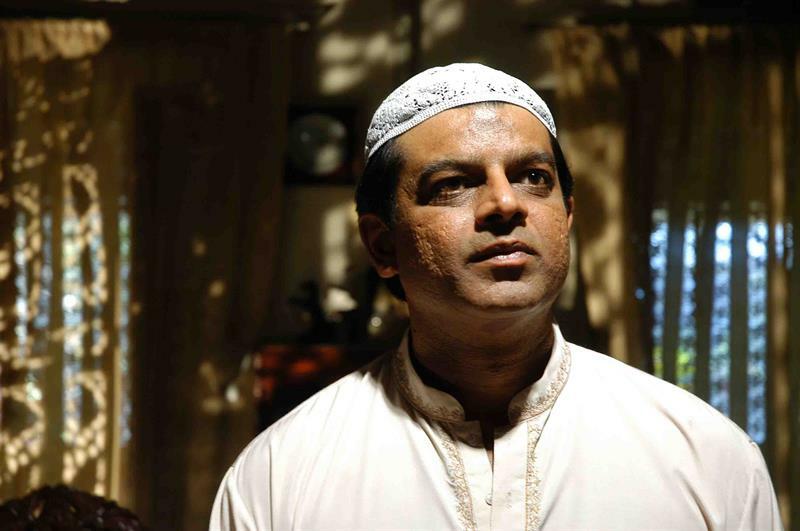 Did an important role in Hindi film The Virgin Goat (Laadli Laila in Hindi), directed by Murali Nair which has been selected for the 15th Pusan International Film Festival (www.piff.org) and Abu Dhabi international film festival (www.abudhabifilmfestival.ae) as well as for the Mumbai Film Festival (www.mumbaifilmfest.com). It also has been selected for the International film festival of Rotterdam in 2011. Played the central character 'Sivanna' in Ushakiron Movie "Veedhi - The Street", produced by Ramoji Rao and directed by V.Dorairaj. Played an underworld don alongside the popular actors Om Puri, Rahul Dev and Sunil Shetty in Mani Shankar's Hindi film Mukhbiir. 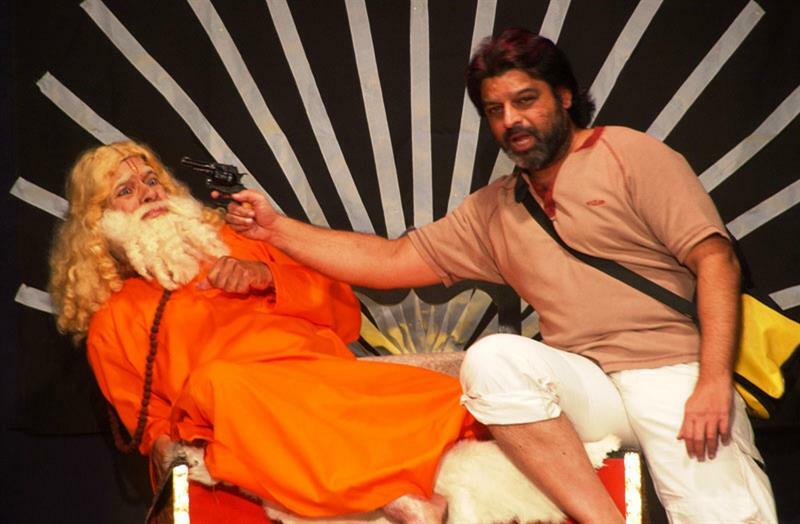 Did a cameo in Krishna Vamsi's Telugu thriller Danger, as the scary, aghori sadhu. 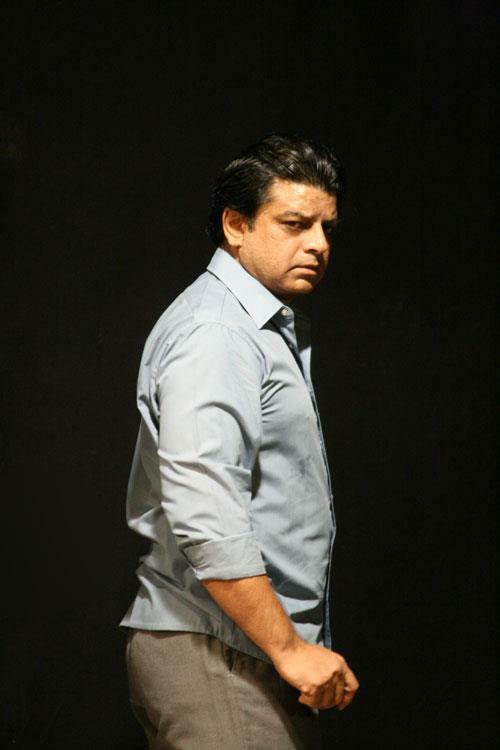 He Played the villain in Ravi Chavali's Telugu film Love. He was the Associate Director for Mani Shankar's Hindi film 16 December and has also played an important role of the 'Home Minister'. He played a major character in the Telugu film Nee Thodu Kaavali. 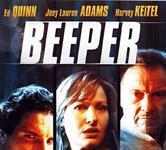 Vinay also has been privileged to work alongside the Hollywood legend Harvey Keitel in the Ushakiron Movies International Ltd's Hollywood film Beeper, directed by Jack Sholder. 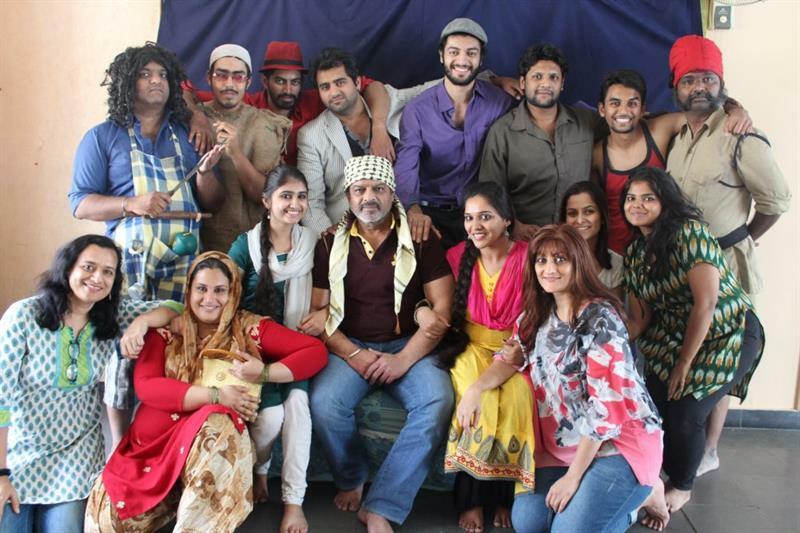 Played a major character in Applause Entertainment Media Pvt Ltd's. Telugu film Tapana. 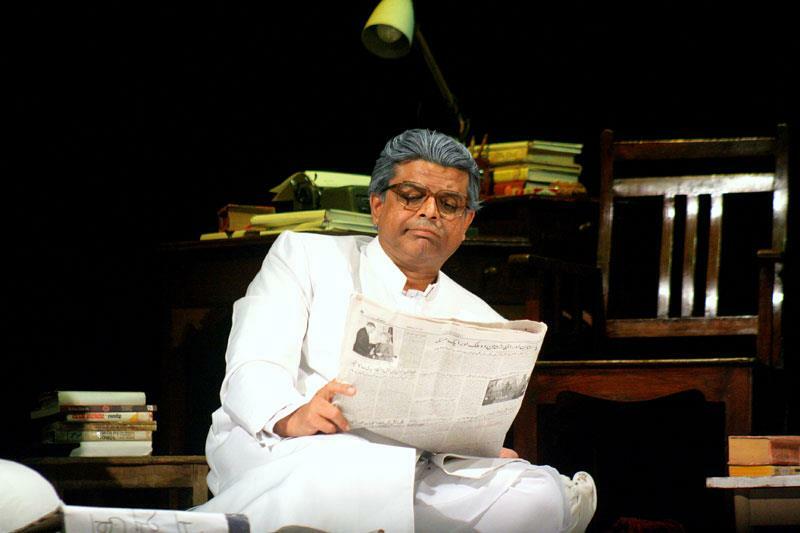 Did a bit role in Mani Shankar's Rudraksh. 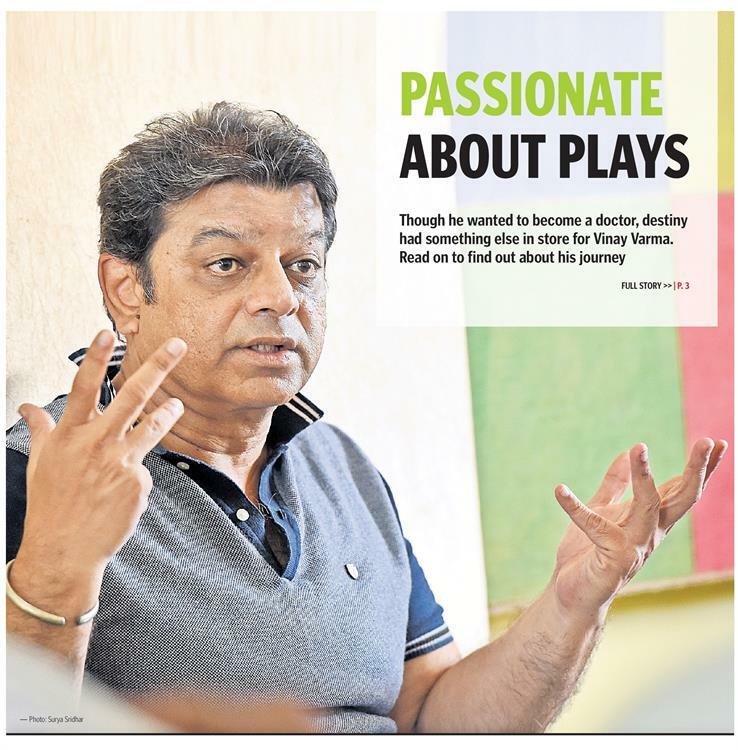 He played a supporting character in Hindi Tv film "Peter 2"
Played a negative character in a Telugu TV serial "Madhavi"
Playing the main negative lead in Daanav Hunters, an hour long weekly serial being telecast on The Epic Channel, every Wednesday 9 pm. 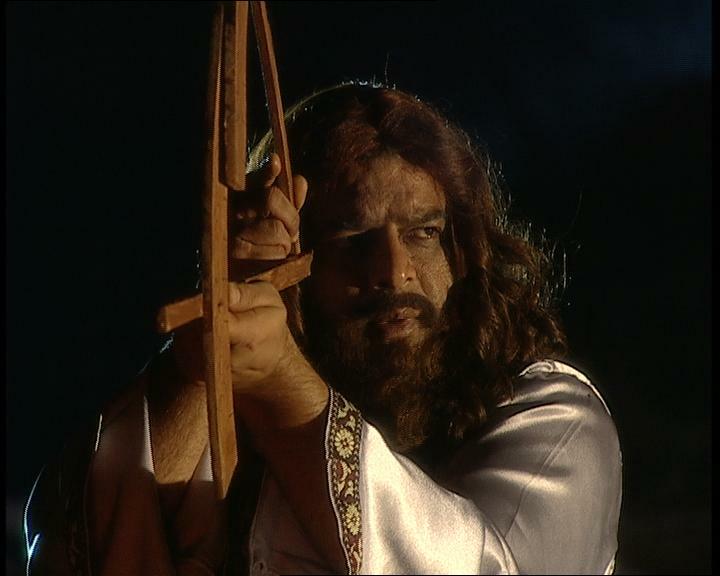 He played the lead role of the dacoit Barabbas in the Hindi telefilm Main Phir Janma Hoon (I 'am Born Again) telecast on DD-1, National Network during the Easter of 2004. The film was nominated in the Best Short Film category for the Indian Telly Awards - 2004. 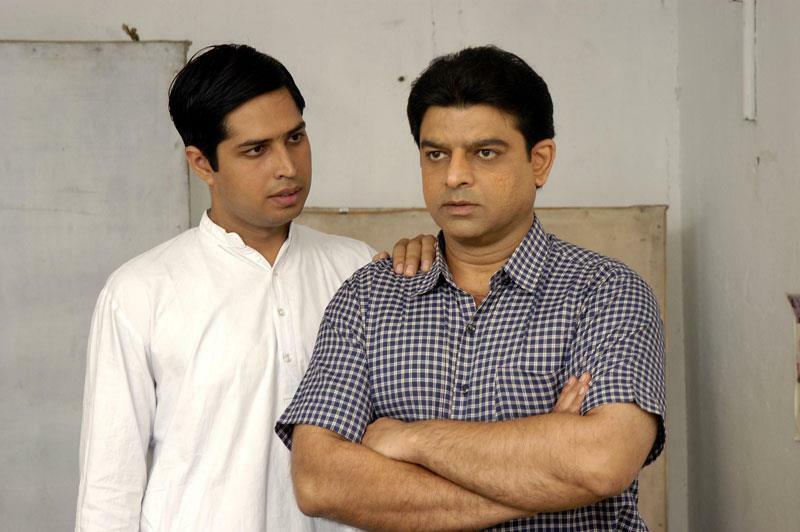 Played the strong and silent Gasper - one of the Three Wise Men - in the Hindi telefilm Shanti Ka Raj Kumar, telecast on ZEE-TV during the Christmas of 2004. 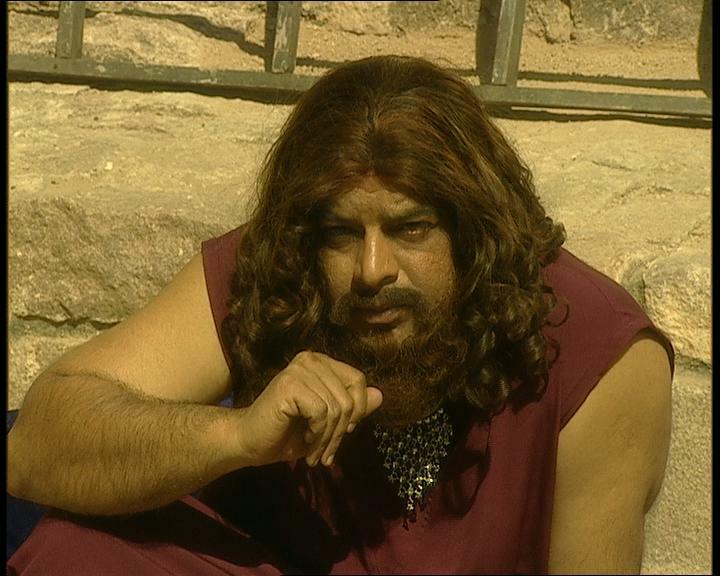 Played the lecherous son of Aurangzeb, Muazzam, in the Urdu telefilm Bala repeatedly telecast on Doordarshan. 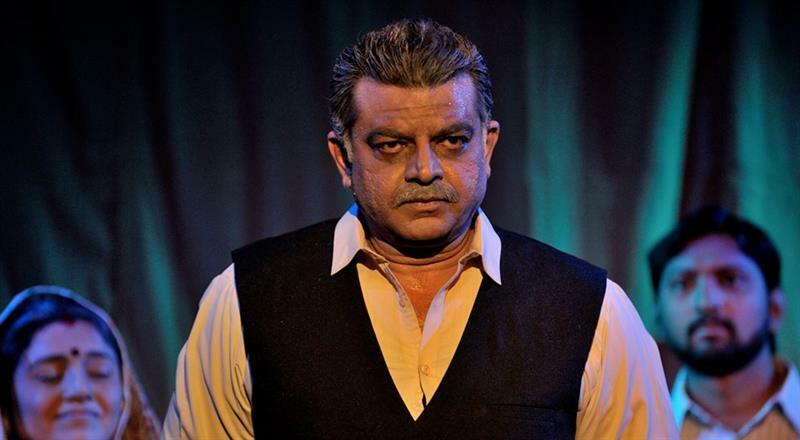 The television serials he has acted in, includes Ek Kahani (in fact the only actor apart from Harish Patel to have been repeated in their series), Shraddha, Dharti Baney Phulwari, Naghme Ka Safar, Dayasagar (wherein he played Judas Iscariot) etc. Played major characters in two Telugu daily serials Manushulu-Mamathalu telecast on DD-Telugu and Madhavi telecast on ETV. Starring Chiranjeevi, touted as the costliest Telugu film ever made. Done Dubbing for some major characters in Hindi Film 16 December. Gave voice-over for various educational films. Recorded about a dozen Radio spots for Dubai Radio. Lent his voice for the ad of STATE BANK OF INDIA as well as Agarwal Packers and Movers. Gave voice-over for National Dairy Development Board's promotional film on milk titled "Piyo Glassful Doodh". Lent voice for a number of Joyce Meyer Ministries books,documentaries on NIRD, AOC, APGENCO etc, and a number of other short, corporate and promotional films. Introductory voice in the Golconda Sound and Light show. Voice over for Chakadola - Light & Sound Show On Emergence Of Lord Jagannath. This light and sound show happens in Purijagannath Temple, Banjara Hills, Hyderabad. 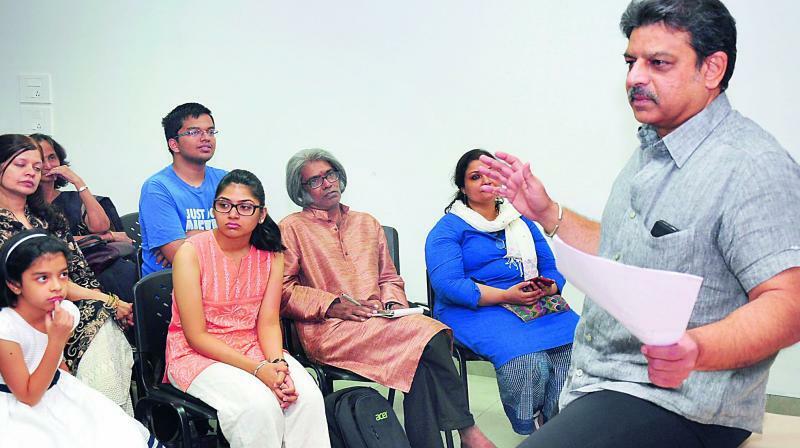 Vinay Varma has been conducting Acting, Voice, and Body Language Workshops at Sutradhar since 1999, and has identified and trained more than a hundred talents. Some well-known faces trained by him are Vijay Varma, Sree Vishnu, Aditi Sharma (Ahana of Kasam Tere Pyaar Ki), Vijay Deverakonda, Y.P. Yashashwini (working as an Independent film editor for Hindi feature films). Some have won accolades for their short films, some do regular voice-overs and dubbing for feature films, ad-films, and documentaries, and some are assisting big-time film directors. 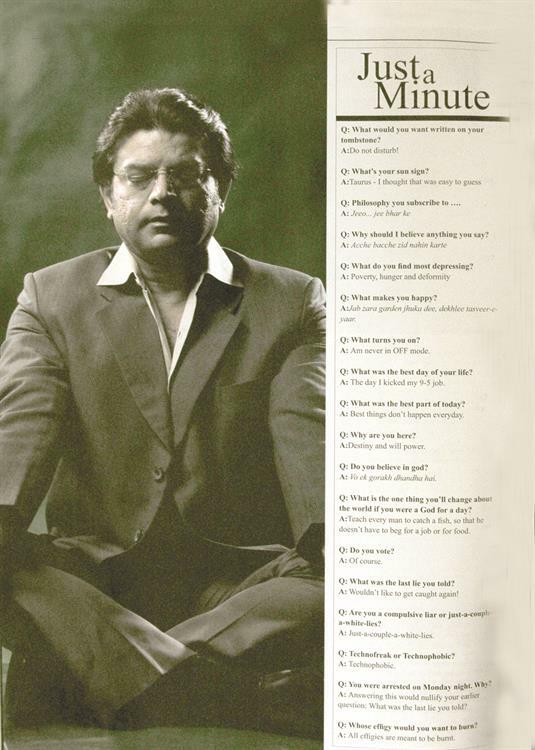 Vinay Varma has held multiple acting workshops for corporates over the years. - A workshop for Satyam in 2004. - A workshop for middle and senior executives for ITC in 2009. - A production-oriented workshop for Thomson Reuters in 2010. - A `Training the Trainer` workshop for platform skills for Sujana Group in 2013. - A short workshop for the employees of Cognizant in March 2013. - A short workshop for female HR executives as part of the `Women`s Day` celebrations in Novotel in March 2014. - A production-oriented acting workshop for members for the Institute of Indian Interior Designers in May 2015, to celebrate their anniversary. - Theatre workshop (February 2017) for project Bright Spark, Youngistaan (an NGO) which works for underprivileged children. - He has also taught a Certificate Course in Acting for students of St. Joseph's Degree and PG College, Hyderabad in March(2015), October (2015) and January - February(2017). - He worked as an adjunct faculty to teach "Directing the Actor" program for AIFSM, at CCRT for students of filmmaking in 2012. - `Bacchha Bollywood` is a series of workshops about all the facets of filmmaking - acting, music, dance, scriptwriting and film appreciation - for children, organized by Buzzaar, from Bombay. 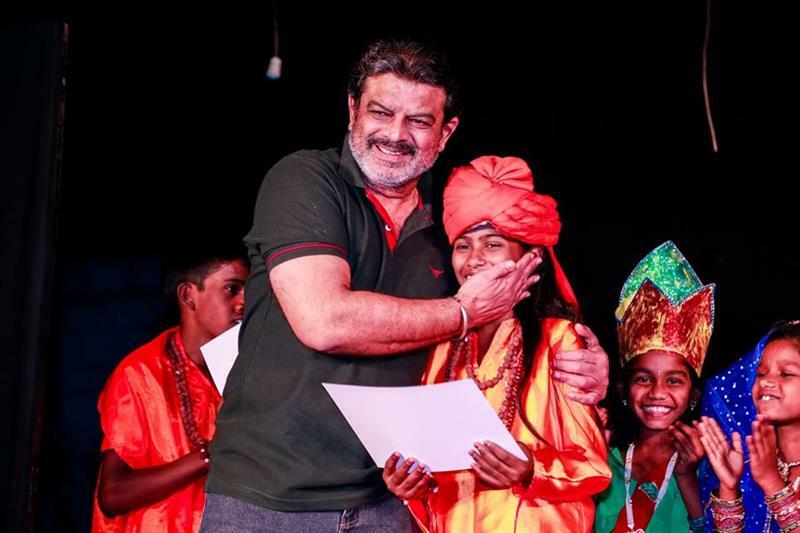 Vinay Varma overlooked the assignation of teachers for each workshop in May 2016 and taught the acting workshop to children aged 5-15, over two batches, resulting in individual productions. 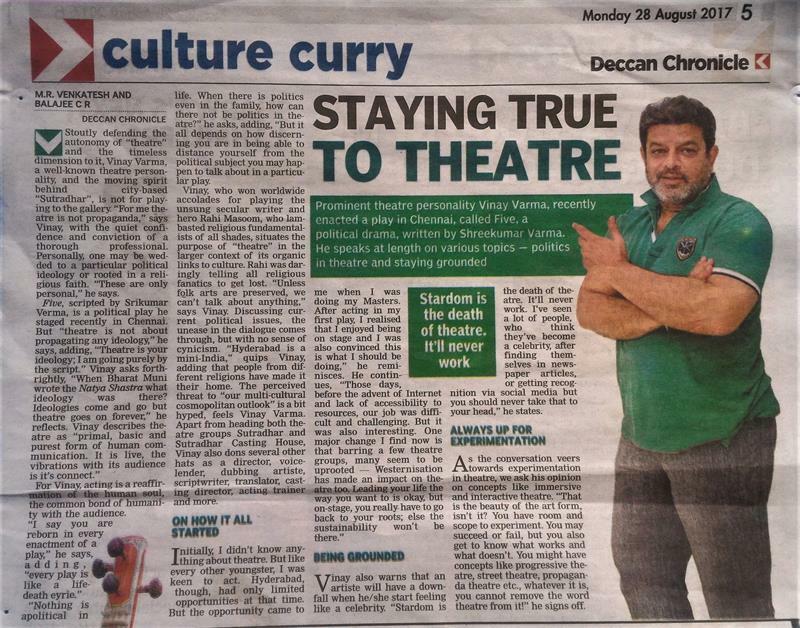 - In May 2017, he conducted a theatre workshop at Kompally, Hyderabad, for over 90 students hailing from Gujarat State. 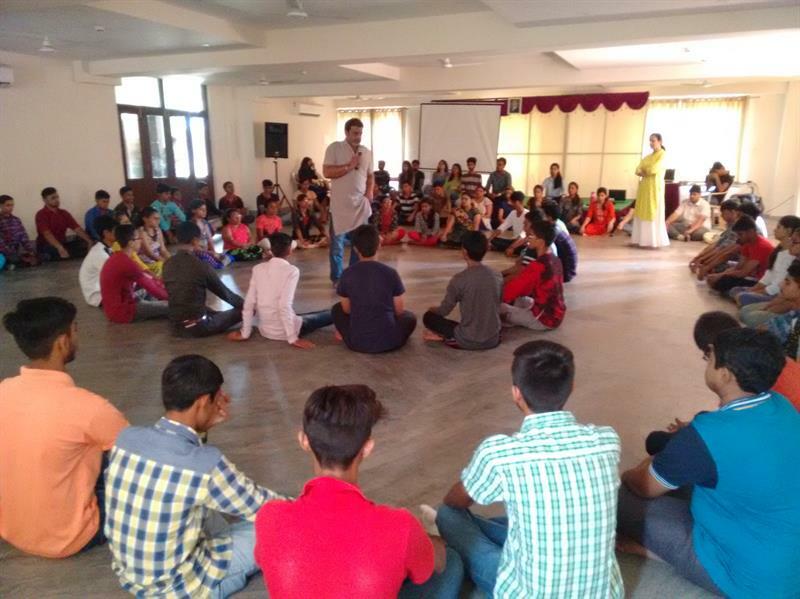 He has been also conducting Theatre Workshops, Voice Workshops, Body Language Workshops, and Training the Trainer in Platform Skills for organizations like Satyam Computers, ITC, Thomson Reuters, Cognizant, Sujana Group, and CCRT. 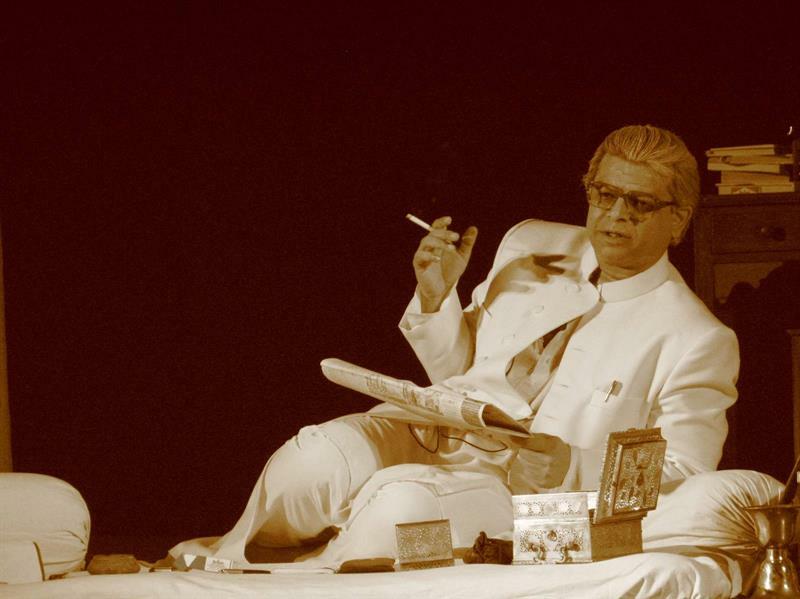 Vinay Varma's first performance was on 14th September 1980 with the play "Coffee House Mein Intezaar", directed by Dr. D. K. Goel. - "Room No. 13, Block No. 14" in 1983. - "Krapp's Last Tapes" - a 70 minute monologue written by Samuel Beckett, and translated by Vijay Ahluwalia, in 1985-1986. - "Stronger than Superman", written by Roy Kift, in 1998-89. - "Guddi Pappu aur Munna", in 1987. - "Aarop", in 1985 and 2002. - "Prastaav" - a Hindi adaptation of Anton Chekhov's 'The Proposal', in 1983-84. - "Nathuram Godse", in 2004 and 2007. 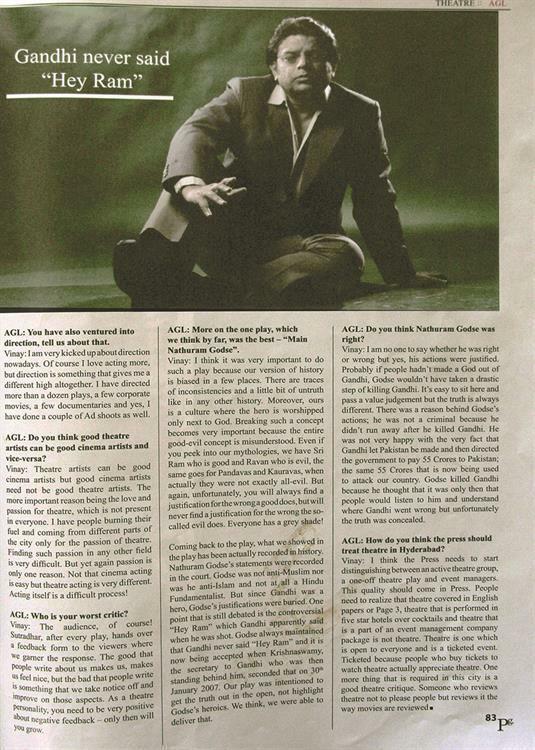 Vinay's foray into direction began with "Rehearsal" in 1980. - "Prastaav" and "Uttarardh" in Marathi, in Nashik, in 1990 and 1991. 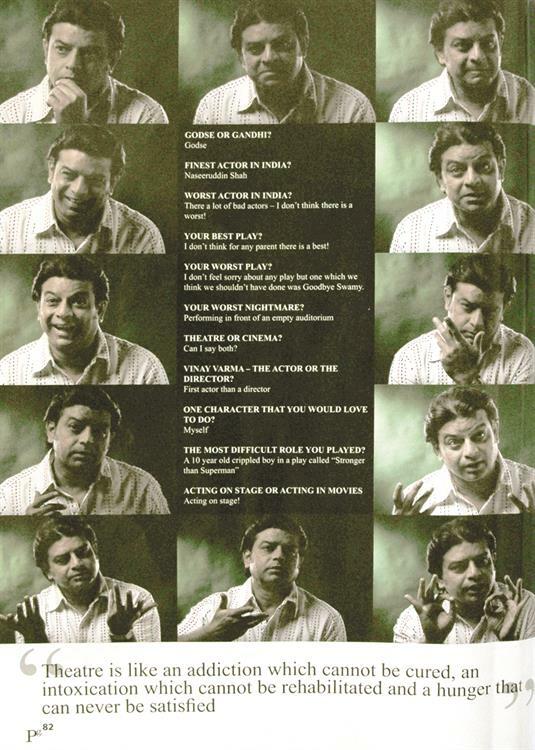 - "Phandi", his first direction for Rangadhara - The Theatre Stream, in 1993. - "Ballabhpur ki Roopkatha", written by Badal Sarkar, and for Rangadhara - The Theatre Stream, in 1995. - "Kisi Ko Toh Jaana Hoga", written by Subhash Parkhi & translated by Anant Kulkarni, in 1998 & 2000. - "Saiyyan Bhaye Kotwal", originally the famous Marathi folk play 'Vichha Majhi Puri Kara' written by Vasant Sabnis, and later translated into Hindi by Usha Banerjee, in 2000. - "Budh Kaam Shudh", written by I. S. Johar, in 2001. - "Haye Mera Dil" in 2002. - "Kisi Aur Ka Sapna", written by Nand Kishore Acharya, in 2005. - "Vicharon ka Achar", written by Professor G. Shankara Pillai, in 2005. 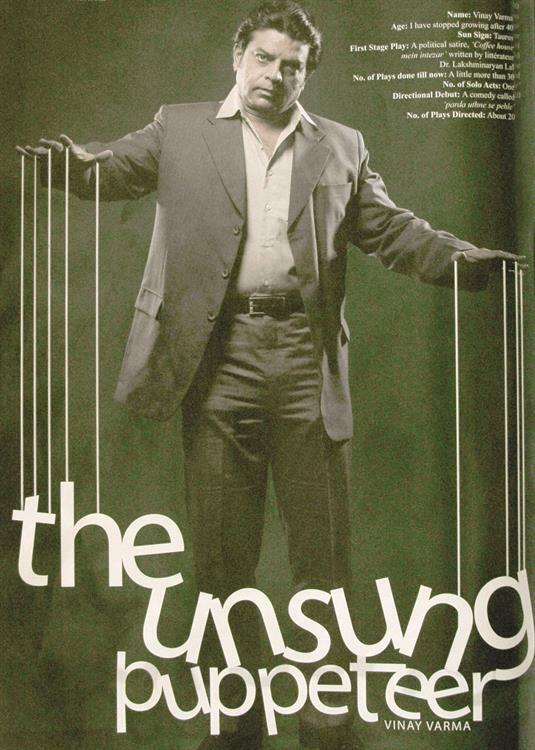 - "The Ants", originally a Malayalam play 'Orukootam Urumbukal' written by Professor G. Shankara Pillai, in 2005. - "Room No. 13, Block No. 14", written by Shrikant Sreekar, in 2005. - "Atmahatya ki Dukaan", written by Asha Varma, in 2006. - "Uttararddha", translated by Anant Kulkarni from the Marathi original of the same name by Vijay Mondkar, in 2007. 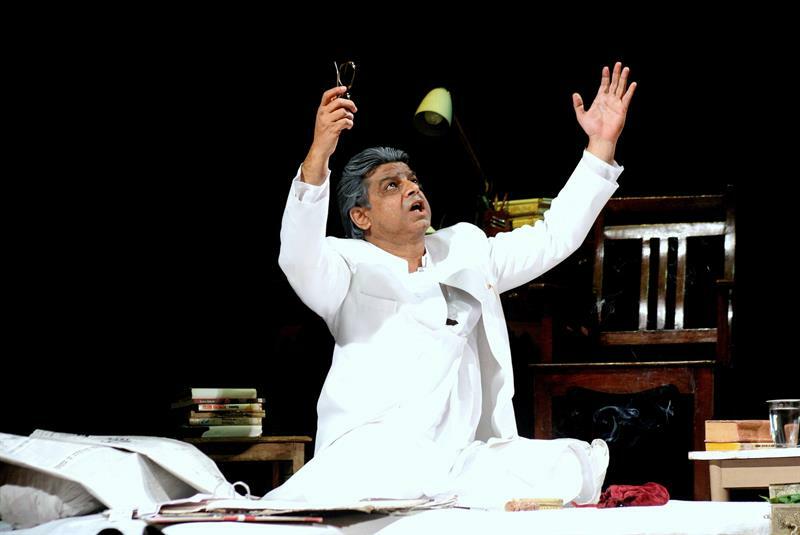 - "Neem Hakeem Khatra-e-jaan", translated and adapted by Niyati Sureliya from Arthur Moliere's "Physician in spite of Himself", in 2007. 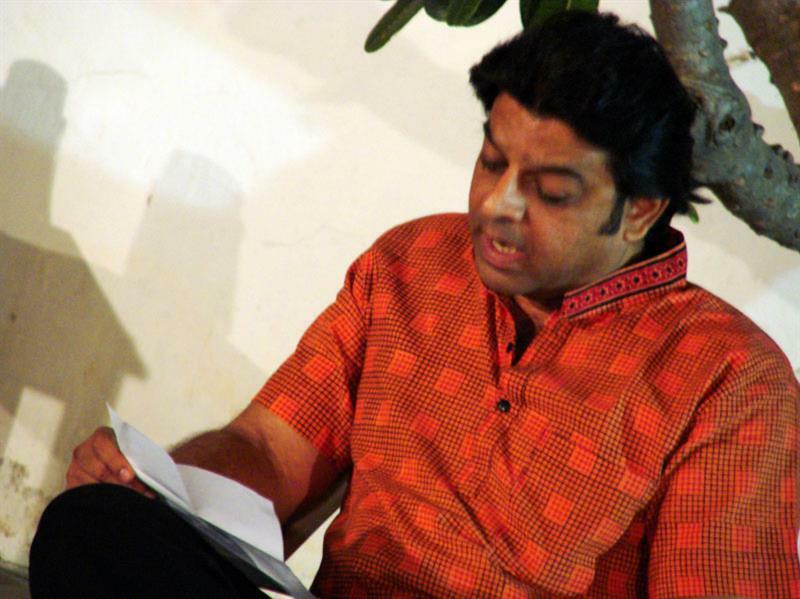 - "Ek Se Badhkar Ek", written by S. Parthasarthy, in 2008. - "Gandhari", written by Dharmavir Bharti, in 2009. - "The Trial of Polly Baker", written by Benjamin Franklin, in 2009. - "On Vacation", written by Sachin Kundalkar, in 2009. - "Voids, Spaces & Borders" - an ensemble of 3 short performances, consisting of 'Dramatic Space' by Theo Lesoualch, 'Kisi Seema Ki Ek Mamooli Si Ghatna' by Sagar Sarhadi, and 'Avoid the Void' by Shivani Tibrewala - in 2010. - "Sita Apaharan Case", written by Dr. Prem Janmejay, in 2010. - "This Is Nathuram Godse Speaking" which went on to being "Godse...An Assasin Speaks", written by Pradeep Dalvi, in 2010. - "Isoceles Triangle", written by Dr. C. H. Phansalkar, in 2011. - "Bhoot", written by Prakhya Sriram Murthy, in 2011. 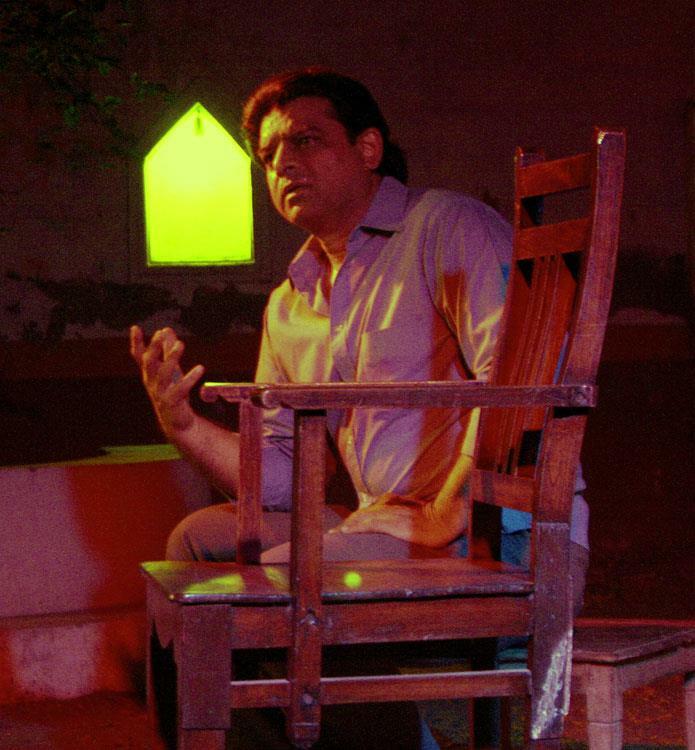 - "Birjees Qadar ka Kunbaaa", adapted and translated by Dr. Raghuvir Sahay from Federico Garcia Lorca's 'The House of Bernarda Alba', in 2012. - "Ismat - Ek Aurat", a collection of stories written by Ismat Chughtai, in 2013. - "Mah Laqa Bai Chanda", written by Dr. Oudhesh Rani, in 2013. 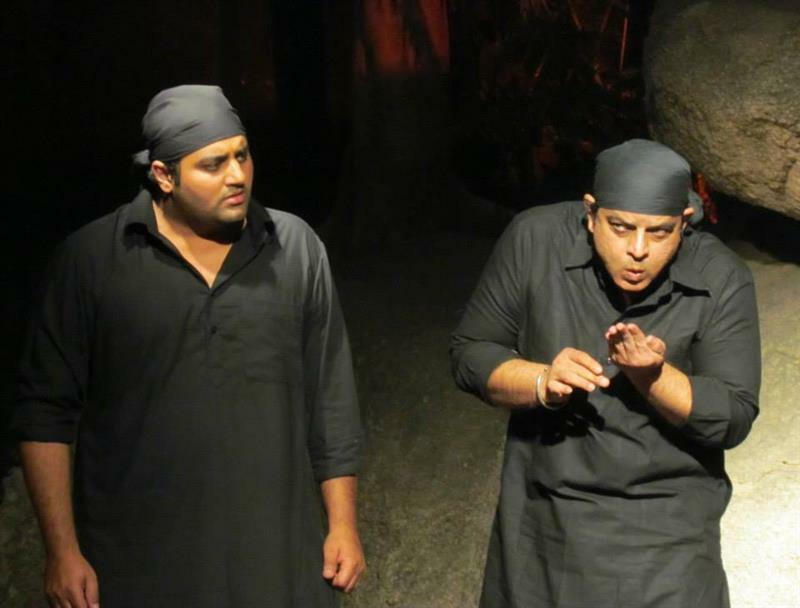 - "Aamne - Saamne" or "Face - Off", consisting of the stories "The Stronger" by August Strindberg, and "Maranoparant" by Surendra Verma, in 2014. - "Post-Mortem", written by Milind Tikhe, in 2014. - "Bitter Chocolate", written by Pinki Virani, in 2015. - "Out at Sea", written by Slawomir Mrozek and translated by Nicholas Bethell, in 2015. - "Agnes of God", written by John Pielmeier, in 2015. - "Raktbeej", written by the late Dr. Shankar Shesh, to celebrate 45 years of Rangadhara (Hyderabad's oldest theatre group), in July 2016. - "Sita Soorpanakha" - a workshop production, written by Shivani Tibrewala, as a part of 'Maryaada' an evening of two short plays. - "Jaal", written by Annie Zaidi. 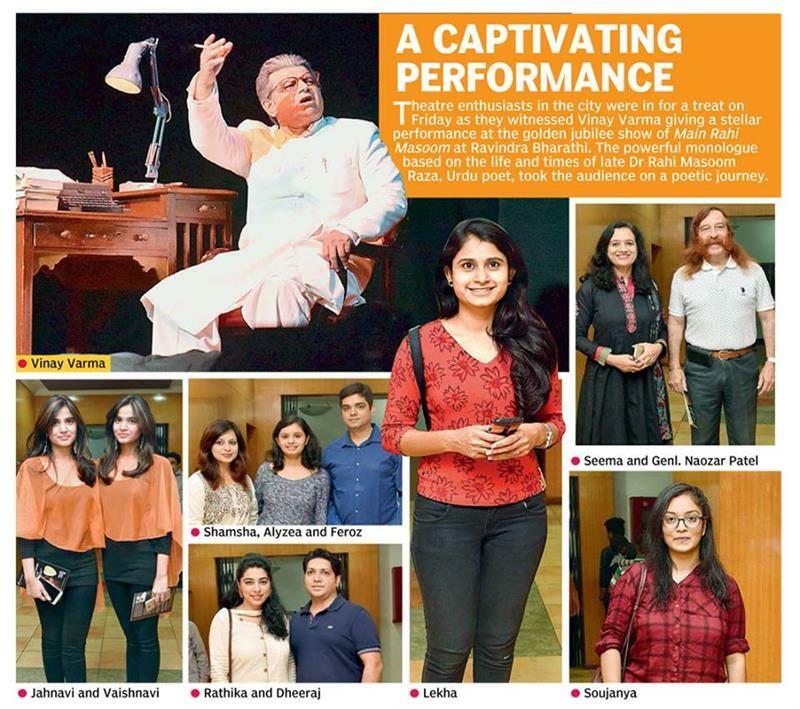 A staged reading of the play as a part of Writer's Bloc showcase at British Council, Hyderabad. 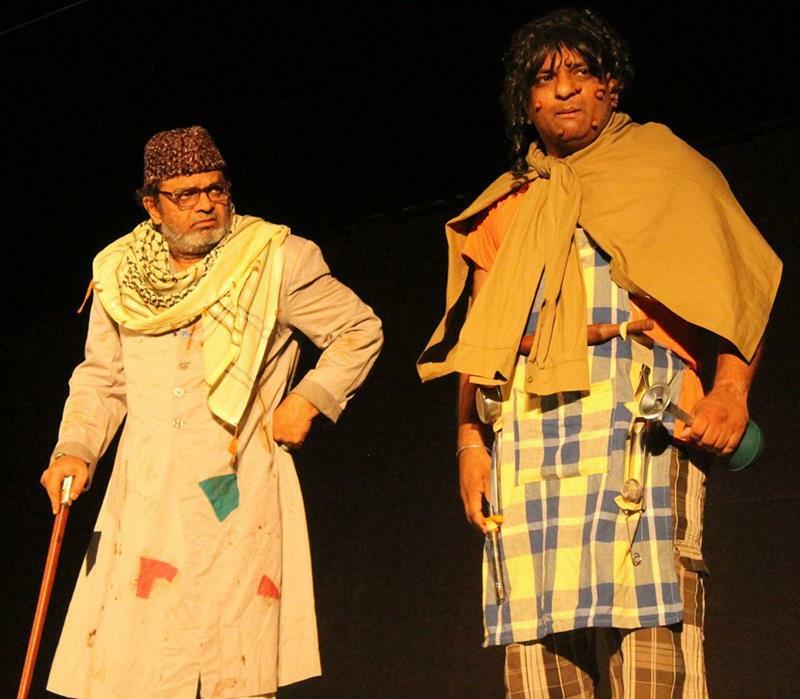 - "Kanjoos Makkhichoose", a Hyderabadi adaptation of French playwright Molière’s “The Miser”. Adapted by Sutradhar and directed by Vinay Varma. This was staged on the occassion of World Theatre Day 2017. 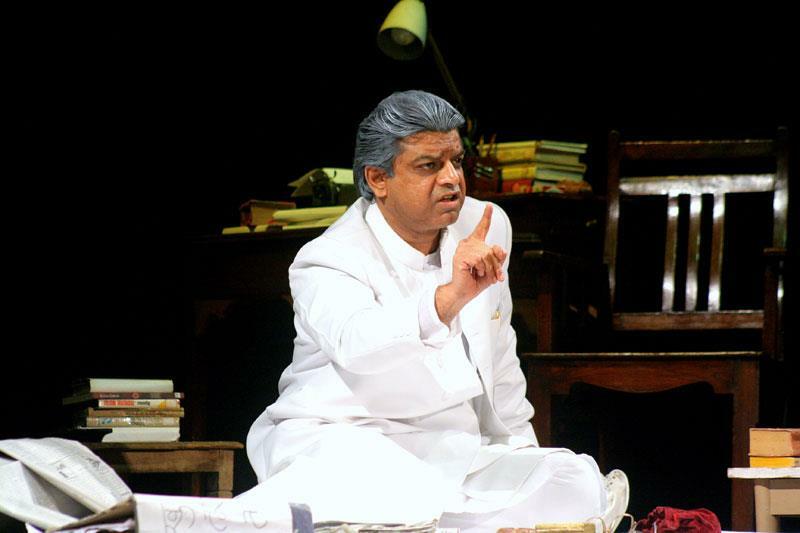 -"Oleanna", written by David Mamet and directed by Prof. Bhasker Shewalkar. 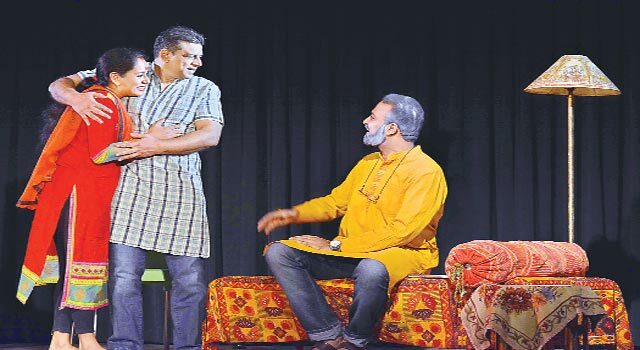 This was staged on the occassion of World Theatre Day (21 & 22 March 2018) at Ravindra Bharathi, Hyderabad. - "Gandhi - Ambedkar" with Prof. Bhaskar Shewalkar, in 2000. - "Inspector Matadeen Chand Par", written by Harishankar Parsai, in 2002. - "Teen Apahij" with Prof. Bhaskar Shewalkar, written by Vipin Agarwal, in 2004. 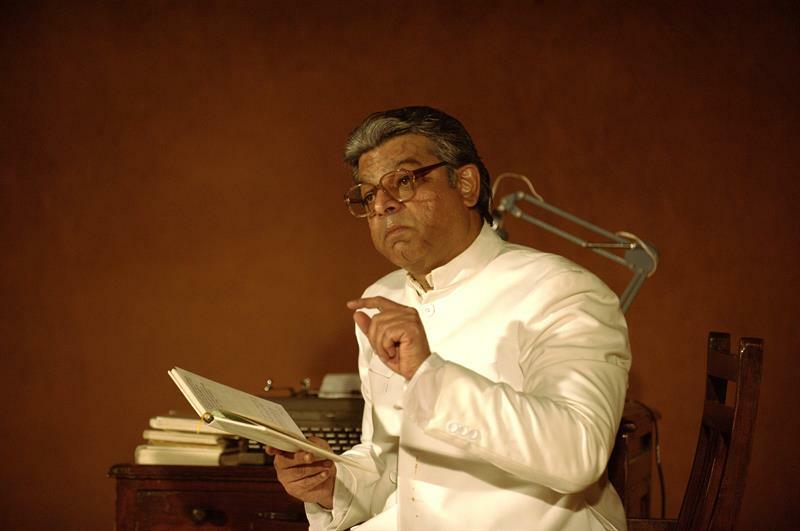 - "The Phoenix" with Prof. Bhaskar Shewalkar, written by Abhijit Sircar, in 2004. - "Kisi Aur Ka Sapna" with Prof. Bhaskar Shewalkar, written by Nand Kishore Acharya, in 2005. 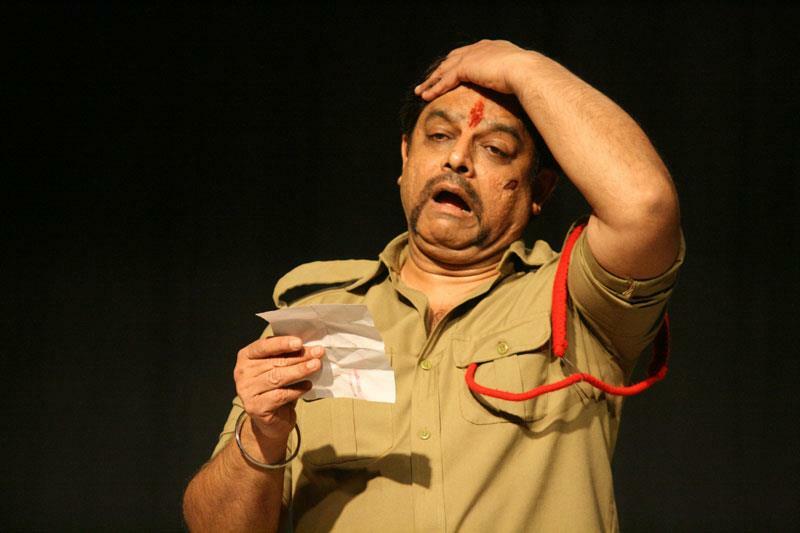 - "Andhon ka Haathi" with Prof. Bhaskar Shewalkar, written by Sharad Joshi, in 2006. 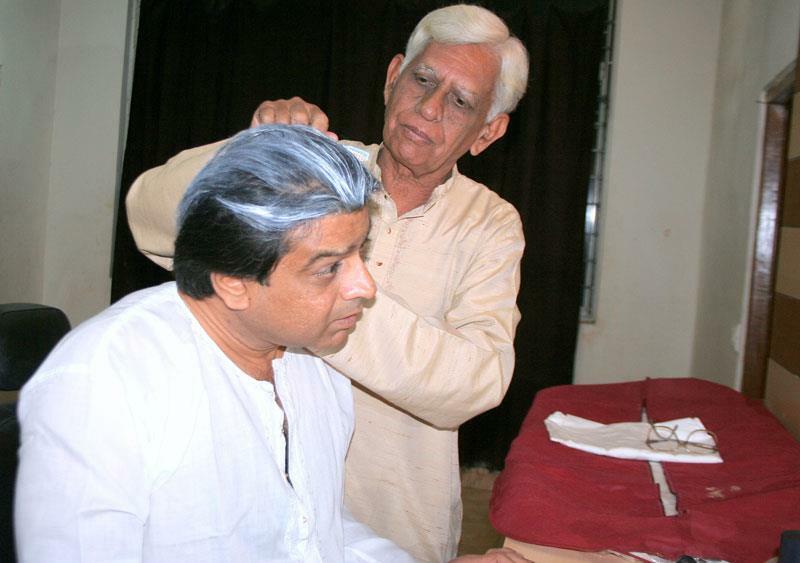 - "Goodbye Swami" with Prof. Bhaskar Shewalkar, written by Susheel Kumar Singh, in 2006. - "Siyaah Haashiye" with Deepti Girotra, written by Sa'adat Hasan Manto, in 2011. 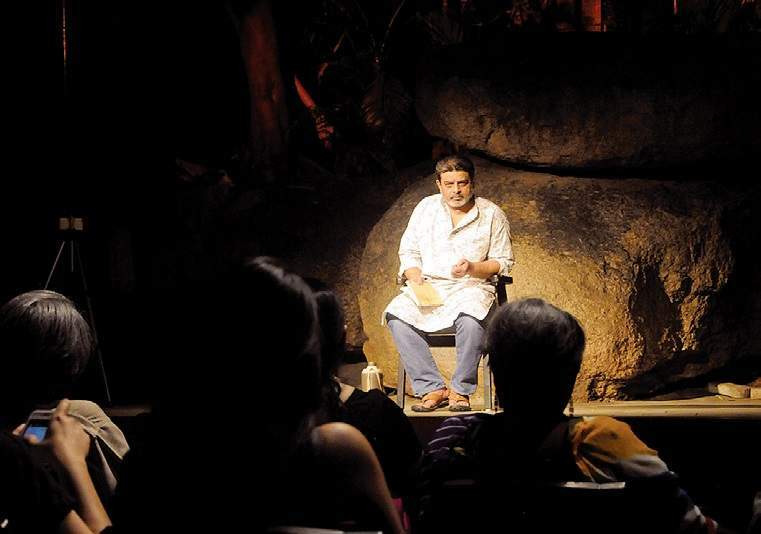 - "Jungle Book", directed by Vaishali Bisht, in 2011. - "Flowers", directed by Ram Mohan Holagundi, in 2015. 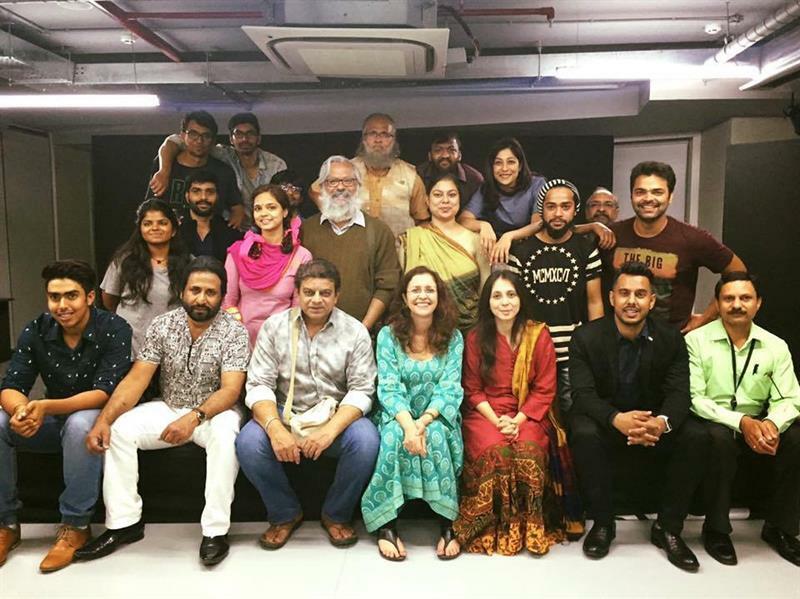 - "Raktbeej", directed by Vinay Varma, in 2016. 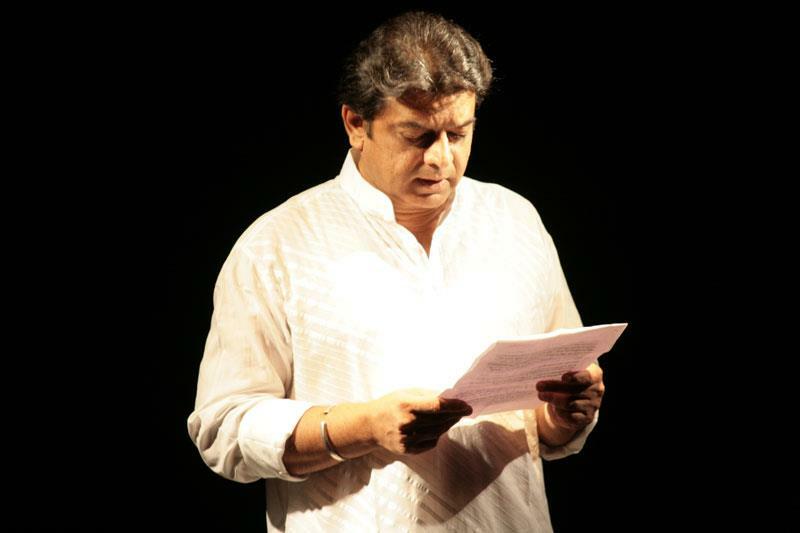 - David Mamet's "Oleanna", directed by Prof. Bhasker Shewalkar, in 2018. 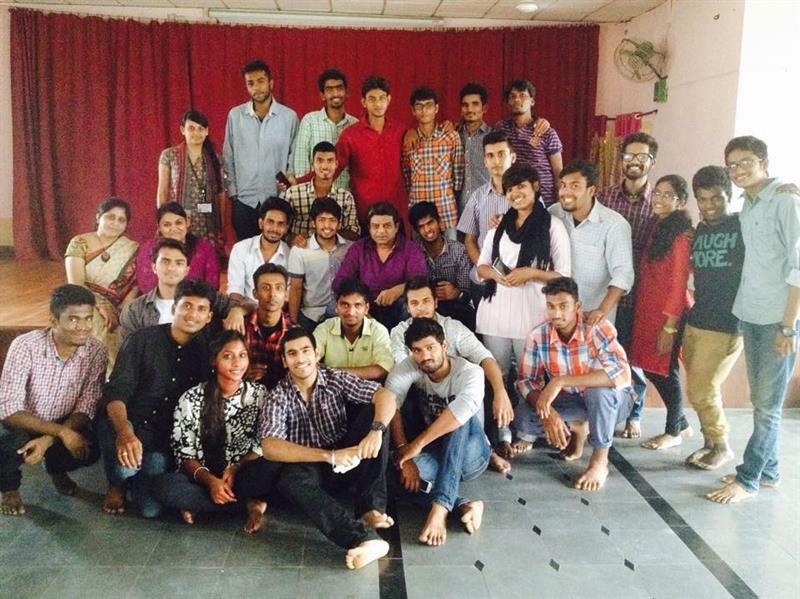 Vinay does story reading for Abhivyakti- An Initiative to Celebrate Reading. 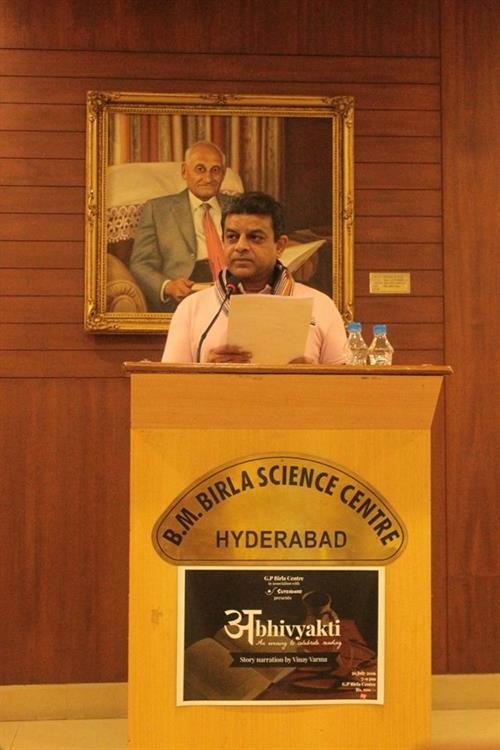 It is a lead taken by Sutradhar and G.P Birla Library, Hyderabad to promote reading from books. 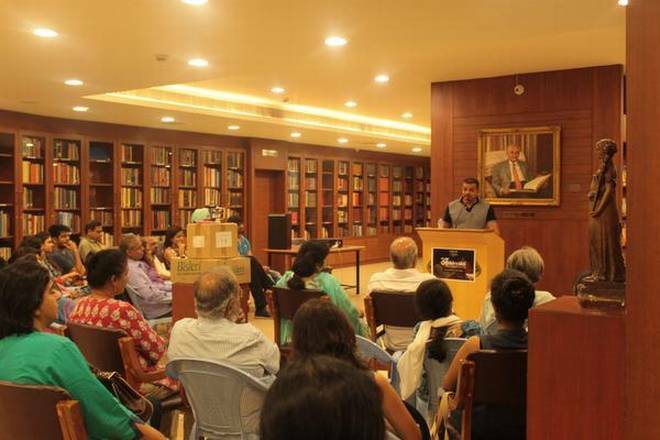 Every month interested listeners gather at G.P Birla library to listen to Classic Hindustani Literature. Dr. Shankar Shesh's Raktbeej, directed by Vinay Varma, was awarded first prize in Narmada rang Mahotsav (May/June) 2018, held at Hoshangabad. 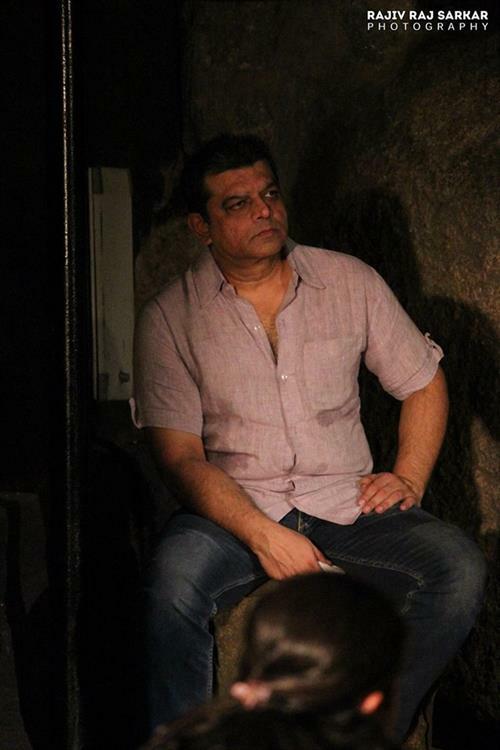 Vinay Varma was also among the lead cast. 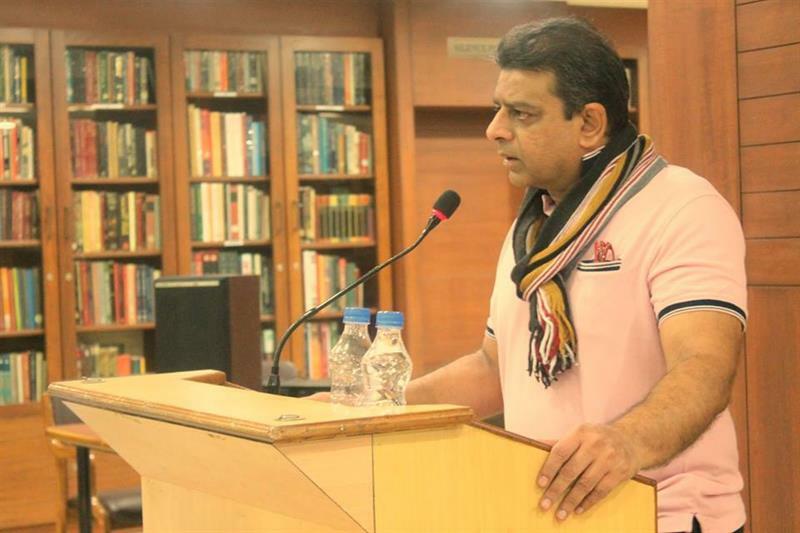 Vinay Varma was invited to perform Main Rahi Masoom in Lucknow Literary Festival 2018. He is also performing in Oleanna at 4th Minerva Theatre Festival, Kolkata, on 7th Jan 2019. How theatrically active is the city?